I can’t believe we are already half way done with the year, which means it’s almost the 4th of July. Usually for this holiday, I like to make pies for bar-b-ques and get-togethers. In fact, last year I made a classic apple pie for the holiday. However, sometimes pies can be a bit time-consuming, so an alternative is a galette, which still uses the same ingredients, but assembled differently. 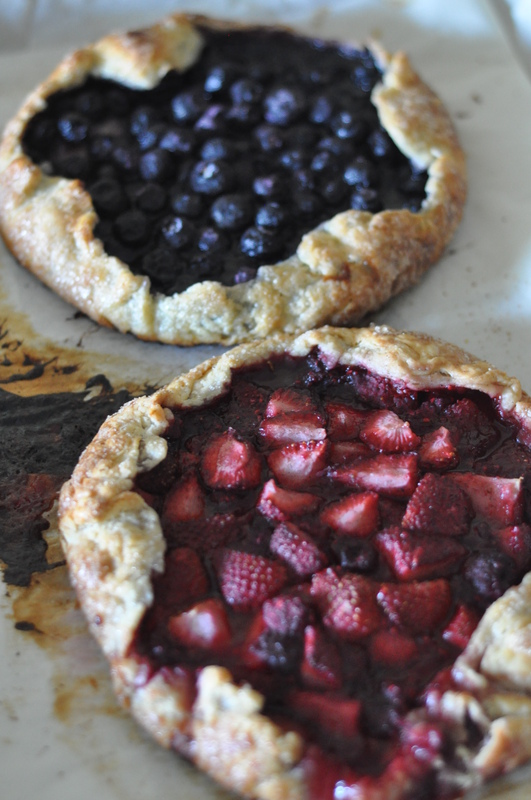 I made these berry galettes using the same go-to pie dough I always make and used a strawberry and raspberry combo for one galette and blueberries for the other galette. These turned out amazing and can be paired with some vanilla ice cream. In a food processor with the dough attachment, combine flour, salt and butter. Pulse until mixture becomes crumbly. Add the water and vinegar mixture in thirds, pulsing in between. Finish mixing the dough by hand on a floured surface. Divide dough in two halves. Wrap, refrigerate and allow dough to rest for at least 30 minutes, or overnight. At this point, you can also freeze the dough if not using immediately. Combine berries in a bowl. Add all other ingredients. Mix to combine. Divide one half of the dough in half. Roll out both pieces of the dough to a circular shape on a floured surface. 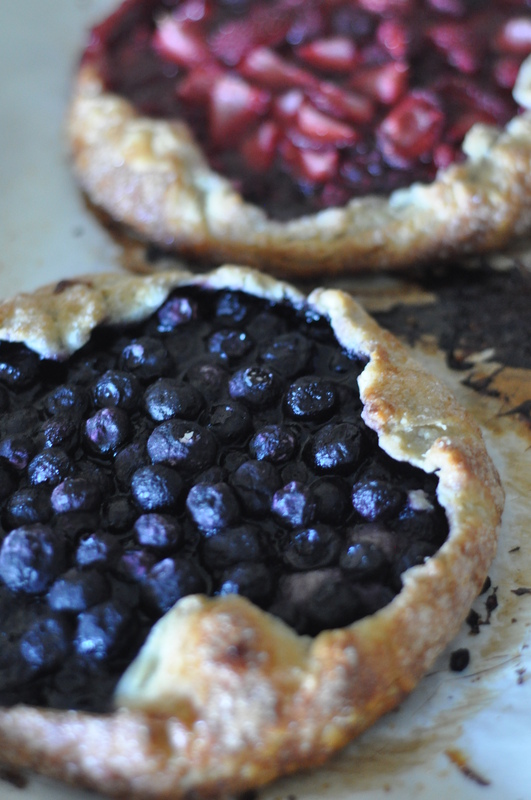 Spoon berries in the center of the dough, leaving about a 1-inch border. Carefully fold up the edges of the border over the fruit and gently pinch to create a crease, leaving the center of the berries exposed. Brush egg wash on the border of the dough and sprinkle with sugar. Bake at 375F for 20 minutes then rotate and bake for another 20-25 minutes or until browned.